As a brand new parent, it felt somewhat awkward to hold my new baby. They are so squishy and soft, and of course, I was afraid of hurting my child. Got to support that head and neck! I got over his anxiety pretty quickly with the help of pillows at times. The same anxious feeling arose, however, when my second child was born and was placed in the arms of his three-year-old sister. The Babee Laptime seat is a solution for safely holding baby. How often do new moms wish they had a free hand to control bottles, toys, pacifiers and countless other items while holding their babies? Babee Laptime makes it easy for new mothers, dads, grandparents and siblings to enjoy the safety and peace of mind provided by an infant seat that fastens securely around your waist. Personally, I think this product misses the boat on several levels. First, skin to skin contact (even through clothing) promotes bonding. Babies can feel the rhythms of your body while you hold them. A seat such as this blocks such personal contact and intimacy. Secondly, this product is made of polyurethane foam and polyester. Yuck! I don’t want my baby exposed to such toxic fabrics, especially a newborn. I can see the benefits of such a seat for having a young child hold a baby securely, but a little supervision and pillows are all you really need. At $129.99, this is a really expensive baby item you don’t need. I have high standards for children’s music, and well, frankly, The Endangerbles don’t make the cut. The message is sweet, for example, “Let’s make extinction extinct”, but the music is just not that aesthetically pleasing. The Endangerbles’ goal is to be educational and fun. Inspiring children to “respect and protect all the species of the world including each other” is the mission of The Endangerbles. 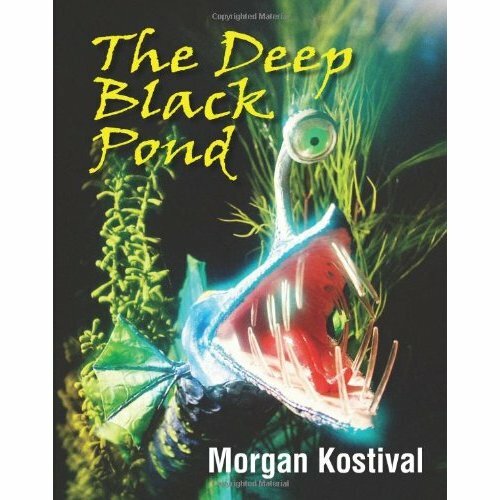 Its endearing cast of animal characters effectively entertain and educate children of all ages about the wonderful world of animals, specifically relating to those that are endangered, threatened or vulnerable. 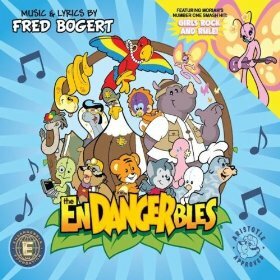 The Endangerbles music CD features 10 original upbeat songs, all composed by Fred Bogert, the three-time Emmy-nominated musician-performer widely acclaimed for his musical contributions to the popular kids-based folk-rock duo Trout Fishing In America. Actually, I shouldn’t be so harsh. “Reason To Be Here” and “It’s a Puzzle” are probably my favorite, but honestly I can’t imagine listening to this CD ever again. Once was enough! There just isn’t much consistency between the quality of the tracks. Would I buy this product? No. One thing I hate about the holidays is the pressure to BUY something for loved ones that truly have everything, including our kids. The truth is that globally, we are the 25%. Our wealth and the way we dispose of it around gift giving is quite embarrassing when you consider how little the rest of the world lives with in comparison. Last year, I started giving service gifts. I started with my father, but I had never considered how this might be a very appropriate gift for a child, especially one like my daughter that is sensitive to the plight of those that are less fortunate. World Vision Gift Catalog offers a “two-for-one benefit”. The beauty of these items is the two-for-one benefit they provide: 1) a meaningful and affordable gift for a loved one; 2) proceeds that make a difference in the lives of children and families living in poverty in the U.S. and around the world. With a financial contribution, the gift giver selects one of 36 items that can be given to someone on a holiday gift list and at the same time help a person in need. What I love about these gifts is how they inspire thoughtful conversations and awareness of both the living and social conditions around the world, as well as our own blessings. Would I buy this product? Yes. My son has sensory issues. He is not autistic, but he doesn’t like sticky things, like glue, on his fingers. He is hesitant to try new things, detests lotion on his skin, and took years to warm up to clay and play doh. Mud is no problem, and neither are his clothes, but for some children, clothing can be a sensory nightmare. Overresponsivity to tactile input also has been reported in the literature (Baranek, Foster, & Berkson, 1997; Cesaroni & Garber, 1991; Grandin, 1995). In firsthand accounts, touch has been described as an intense feeling that can be overwhelming and confusing (Cesaroni & Garber, 1991). Grandin (1995) noted that certain clothing textures could make her extremely anxious, distracted, and fidgety. Children with higher levels of tactile hypersensitivity in one study also were more likely to display inflexible behaviors, repetitive verbalizations, visual stereotypies, and abnormal focused attention (Baranek et al., 1997). Now imagine your underwear creating such feelings of extreme anxiety and distraction! Thank good, Soft Clothing for All Children has an organic solution! Soft Clothing for All Children Organic Seamless Underwear is super nice! I also really like how the tag includes punchouts for paper dolls. This clothing is made in China. Would I buy this product? Yes. I am pleased to see Soft Clothing for All Children is now using organic cotton. Having Asperger’s myself, I find those digital tagless tags to be itchier than most regular tags, especially when they start to crack and peel off of the fabric after repeated washings. But the fact that these are inside-out reversible solves that problem nicely. Too bad they won’t fit me!